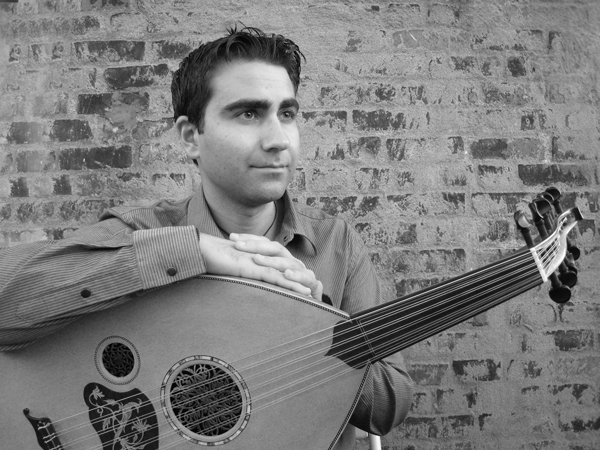 Mavrothi Kontanis is a gifted young New Jersey-based Greek-American singer, composer and oud player. Kontanis recently released two debut cds simultaneously: Sto Kafesli Sokaki, a collection of old Greek and Turkish urban songs of the early 1900's, and Wooden Heart, an exploration of traditional and contemporary oud styles from the region featuring traditional compositions as well as some Kontanis originals. Mavrothis appears regularly at ELO restaurant (2-14 31st Ave) and Philoxenia (32-07 34th Ave) in Astoria, Queens. And he'll be performing with his ensemble Maeandros at Barbes (376 9th St. in Park Slope) on Thursday March 26 Alwan For the Arts (16 Beaver St near Battery Park) on Saturday March 28. He also teaches oud and is working on a series of oud method books. Learn more at http://www.mtkontanis-music.com/ and http://www.myspace.com/maeandros. A Kazakh Nowruz song recorded live on WFMU. Engineer: Gil Shuster. and THANK YOU for putting on this great show- you are appreciated! Hello! nice show... where can I find some of those old Greek recordings? One option, though a bit pricey for Greek cds and mp3s in general: http://www.greekcity.com/. But keyword searches on Amazon also turn up some good things. I've crafted a couple of shortcuts to help. For Rembetika try: http://tinyurl.com/amazon-rembetika-search-tsp and for a broader list of old recordings from Greece and surrounding countries try: http://tinyurl.com/amazon-greek-list1-tsp.